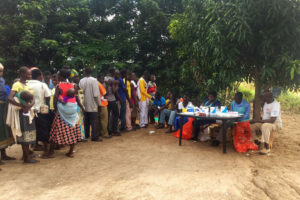 Amatheon Agri Uganda is joining hands with the Anaka Referral Hospital to provide medical services to 14 villages in Nwoya District, through a new Public Private Partnership that was launched in Nyamukino yesterday. 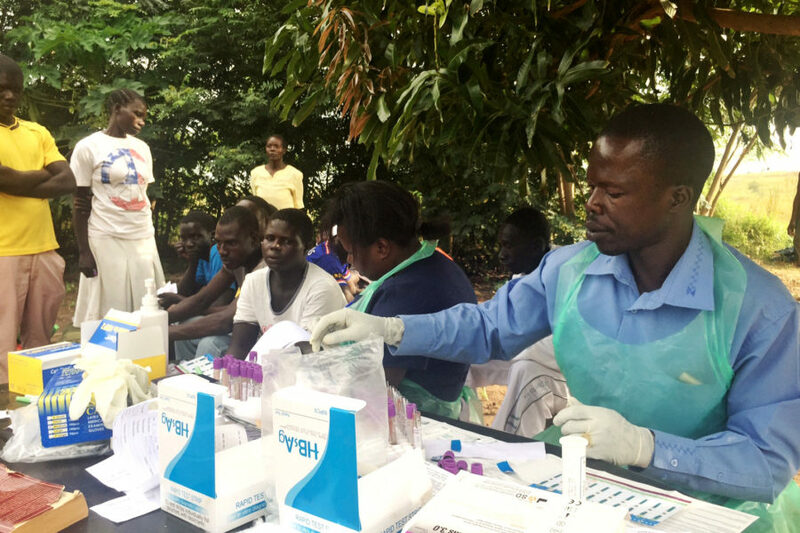 During quarterly health outreach days, a mobile unit comprised of medical professionals, equipment and drugs will be dispatched to communities neighboring Amatheon Agri’s farm, to cover a range of health services and topics including HIV/AIDS, Sexual Transmitted Infections, Hepatitis B and Malaria, among others. This new partnership builds on the community outreach days that were conducted in 2014 and 2015 by Amatheon Agri Uganda and the Straight Talk Foundation – reaching more than 600 people. 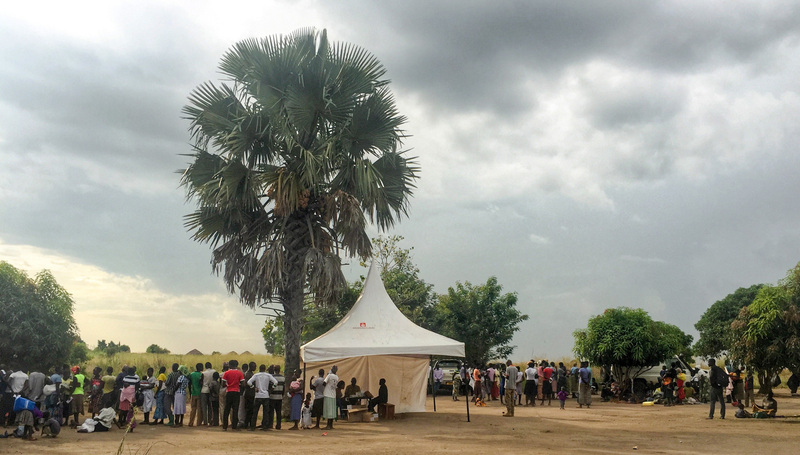 Community members queue to receive medical support during the health outreach day from Anaka Hospital and Amatheon Agri Uganda. District Health Officer, Janet Ooola, says that many of the people who cannot access medical services are those living with HIV. “This partnership will allow us to reach individuals with this sickness and offer them medical services as best we can, so we are grateful for the partnership with Amatheon Agri and are looking forward to continue working closely with them for the good of the community,” she says. Amatheon Agri’s business model is founded on inclusive growth for the company and its surrounding community – socially, economically and environmentally. Its Outgrower Programme provides smallholder farmers with free training on conservation farming and business education, while simultaneously providing market access through grain purchases at rural depots. Currently, more than 1,800 farmers are benefitting from the Programme, which injected over US$500,000 into the local economy last year. Moreover, Amatheon Agri has rehabilitated 34 kilometers of public and private roads in sub-counties of Purongo, Lungulu and Got Apwoyo, which benefit not only the company’s operations but also increase community access to social services and markets. “Nwoya has the potential to become the beating heart of Uganda’s agriculture industry, and we are proud to support the development of this hub through continuous stakeholder collaboration, economic participation of rural communities and a long-term commitment to the Republic of Uganda,” says Tilly.